What Dungeons & Dragons Character Class Are You? This quiz is all the fun of creating a character without having to fudge your dice rolls! 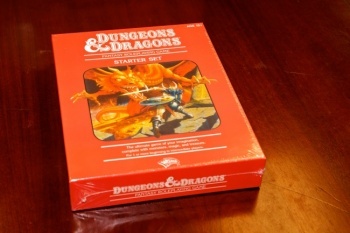 In this week's issue of The Escapist out tomorrow, "The Red Box," we take a look at the games and gamers inspired by the classic pen-and-paper RPG, Dungeons & Dragons. While D&D might not have invented the concept of the "class" (one might argue the concept originated in games like chess, even), it certainly codified the idea as we think of it today. From the earliest basic classes like Fighter and Elf (actually a class back then!) to whatever those fancy-schmancy prestige classes are these days, everybody has their own particular character class of choice. Maybe you're the angry, front-line fighter. Maybe you're the jack-of-all-trades bard. Do you like to be a scheming sorcerer, or a raging barbarian? Our quiz might not have all of the potential classes available in the various D&D editions - come on, there must be hundreds by now! - but it might just give you a hint as to the type of character class that best suits you. Of course, as always, if you don't like your answer just take it again to get a different one! Go on, roll the dice! Our Character Class Personality Quiz can be found here.